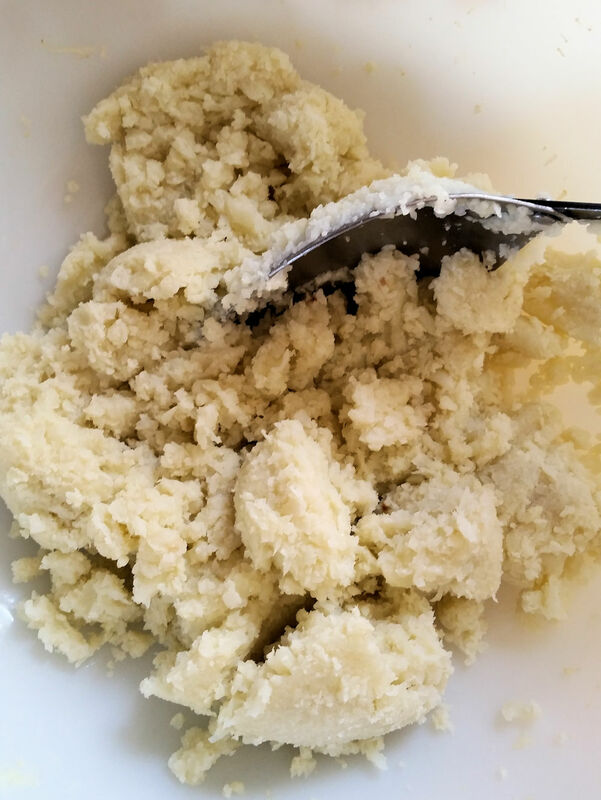 If you’ve been following this blog for awhile, then you saw the recipe for the crusty artisan bread that I posted earlier. My husband loves to make bread of all types, white, whole grain and multigrain. Unfortunately, all this bread has consequences. His doctor advised him last year to cut back on the carbs. Drat! No bread. No pizza. Bah! 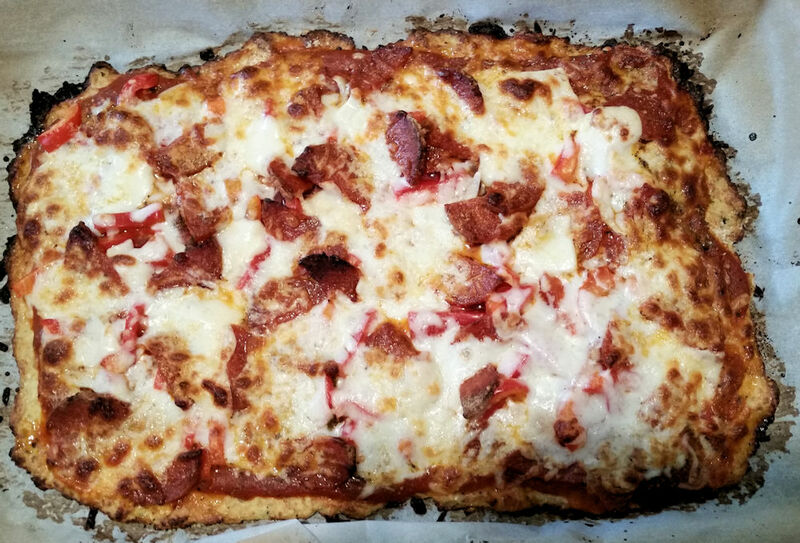 So I came up with this low carb version of pizza last year which is made from, yes, cauliflower. Let me just preface this by saying, although we LOVE vegetables in this house, I doubt that a cauliflower has ever crossed our threshold since we’ve lived here…30+ years. Blech. A white vegetable that isn’t potatoes? No way. However, we are open-minded people so I did some research and this is what I came up with. 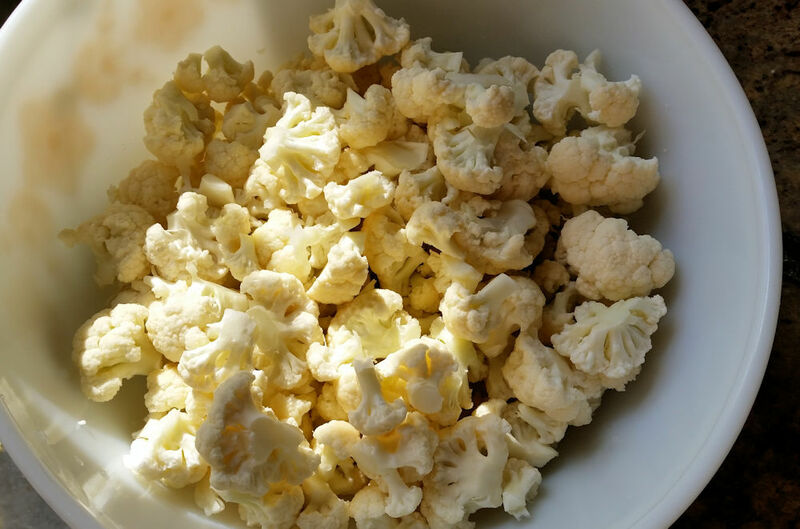 No, it does not taste like cauliflower…at all! Yes, it does taste like yummy pizza. 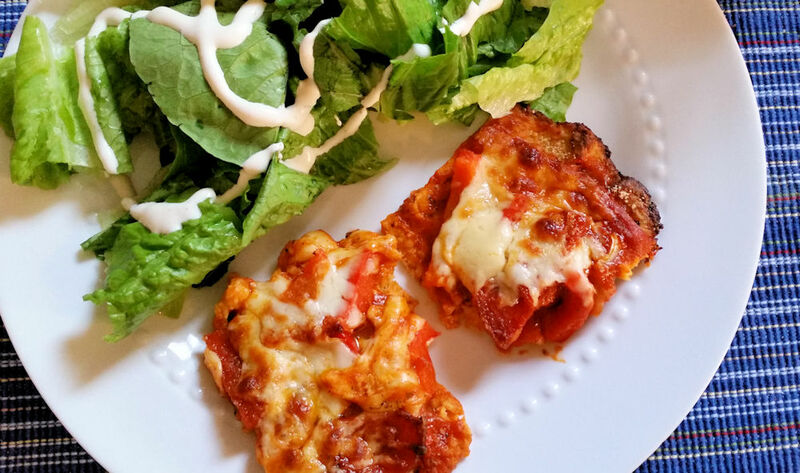 If you’re watching your carbs, give this recipe a try. You might like to make two crusts if you’re going to the trouble. You’ll want to repeat this again. Add ½ c water, cover with plastic wrap with one side open to let out steam, and steam in microwave until medium soft, about 15 minutes. You may need to stir these every five minutes or so. It shouldn’t be mushy but just al dente. 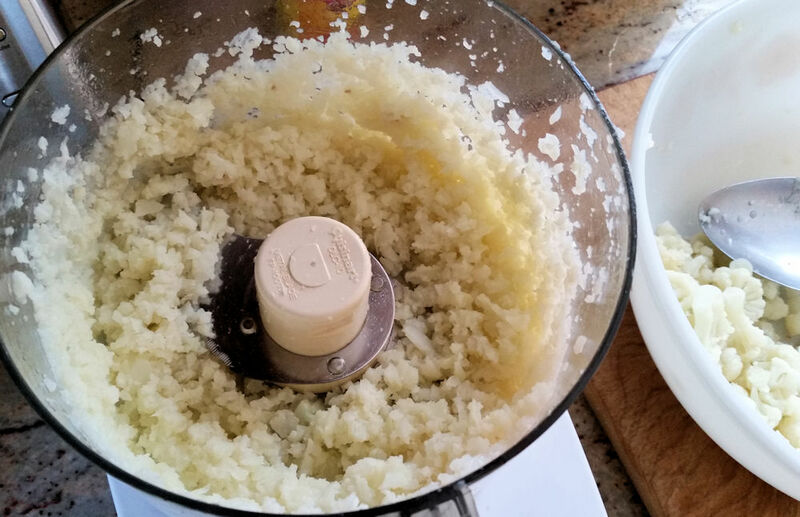 Run through food processor until just riced, (not mashed). You may have to do this in batches. 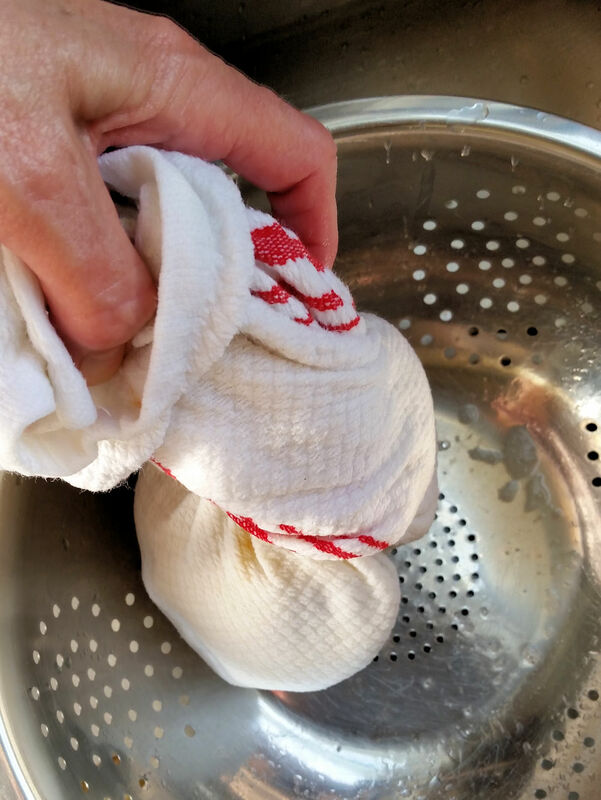 Place riced cauliflower in clean, dry kitchen towel, stir a bit to let cool, then squeeze ALL the water out that you can. The more you squeeze, the crustier your pizza crust will be. 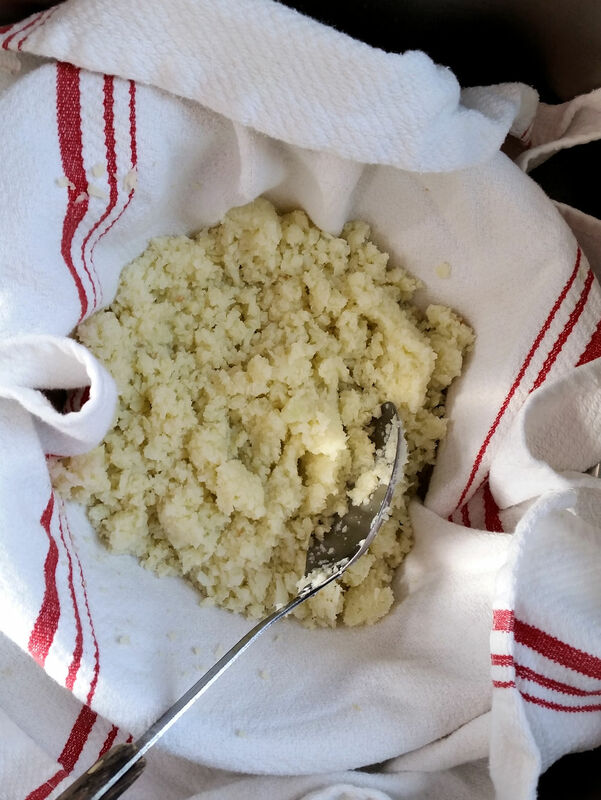 Riced, steamed cauliflower after squeezing moisture out. Add egg, goat cheese, salt and pepper and stir. 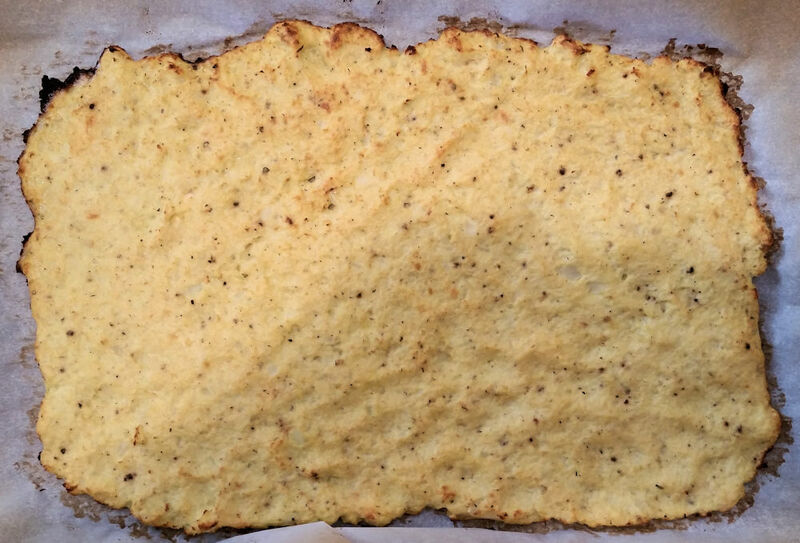 Press onto parchment-lined pan. You want about ¼ inch with a little higher crust on the edges. Bake 20-25 minutes or until browned on the edges. Decorate pizza as usual with your favorite toppings. Lower temp of oven to 375 and bake for another 20-25 minutes until it looks like a pizza. There you go! You’ll be surprised that you can actually hold this like a piece of regular pizza. It does NOT taste like cauliflower. Manga! It’s been a raw and unpredictable March with rain, wind, snow, what have you. 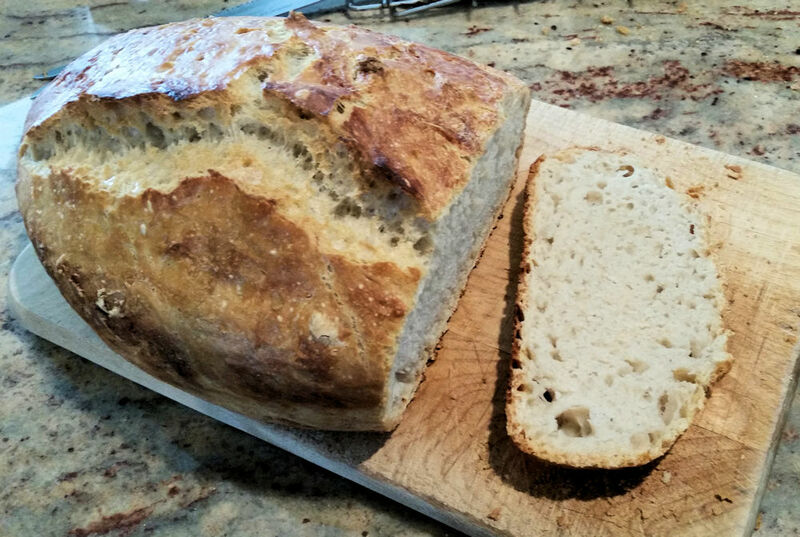 If you’re still stuck indoors, here is a VERY EASY and VERY GOOD bread recipe. My husband is the bread maker around here and has many favorites, but this one seems to be a hit with everyone. Don’t be afraid. Just do it! You don’t even have to touch the dough or knead it. Perfect crusty artisan bread. Combine all the ingredients in a large bowl and stir to incorporate. Cover well with plastic wrap. Let sit out on the counter overnight (12-18 hours). 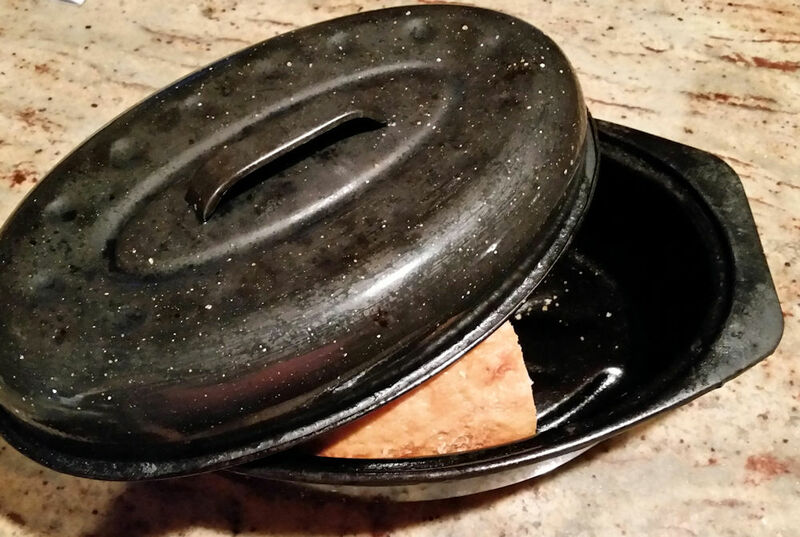 Put the roaster pan and lid into a cold oven. The bread should tip out of the pan easily. It will be crusty on the outside and moist on the inside. You may add other ingredients when assembling on day 1, such as, dried herbs. That’s it! Serve with a pot of homemade soup. Your friends and family will think you’re a genius.